East Coast Telephone Company is professionally equipped to discuss your communication requirements in order to assist you to make a valuable decision based upon our company expertise & on going relationships with our strategic business partners & associated organisations. Our product portfolio is derived & driven by the requirements of our clients. As the needs of our customers changes so does our product portfolio to adapt to those changes. 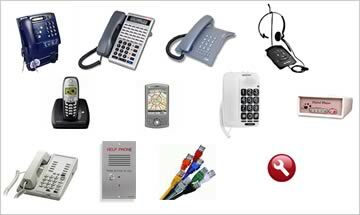 Our company has developed & maintains unique arrangements with our suppliers to offer up to date state of the art telephone related equipment & services to meet the changing demands of the telecommunications environment. Our product portfolio is being constantly updated & revised & if you have a specialist requirement speak with one of our communication consultants or email us at info@ectc.com.au to give us the opportunity to assist you.